I have to admit that I'm not one to branch out very often. I know what I like and tend to stick with it. Color schemes in my closet are limited and the same goes for my household. Often times, there's even a lot of overlap between those two ((my closet and my home)). For instance, this Anthropologie vase is one of my favorite items in my house. It lives on my mantel and makes me so happy. A while ago, I pinned these shoes and knew I was going to DIY them because I had just purchased these mint flats. 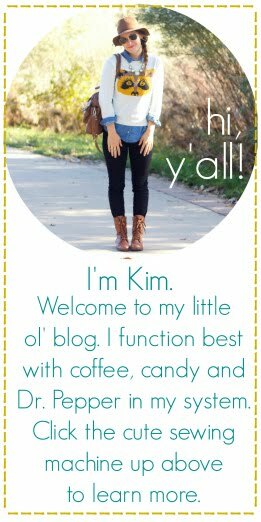 It was such a quick project and I've been meaning to share it with you for months. Ready? 1. Using this tutorial ((the first one!)) and your felt, make your felt flowers. 2. 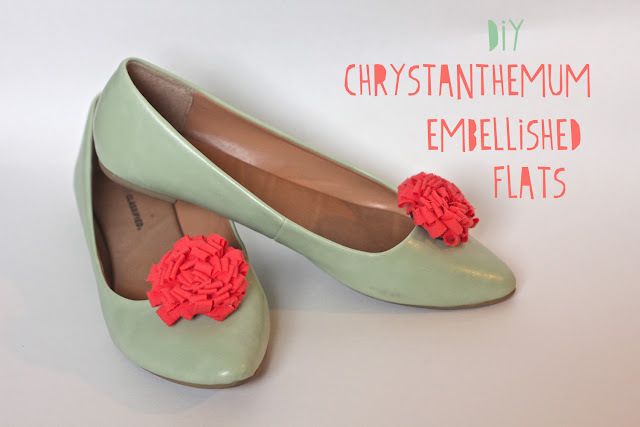 Take a square (or circle) of felt, cut a slit in it and slip half of the shoe clip underneath. Glue the felt square/clip to the felt flower. This will ensure that your shoe doesn't get scratched by the shoe clip. Remember these shoe embellishments? Same process. 3. Clip on your shoes and strut your stuff. All in all ((including the shoes!)) this project cost far less than $20. Winning. These are too cute! I love the color combo! love these! I have been looking for some new flats, and this would be perfect to fancy up some flats that I already have to make them look "new". awww these are soo stinking cute!! 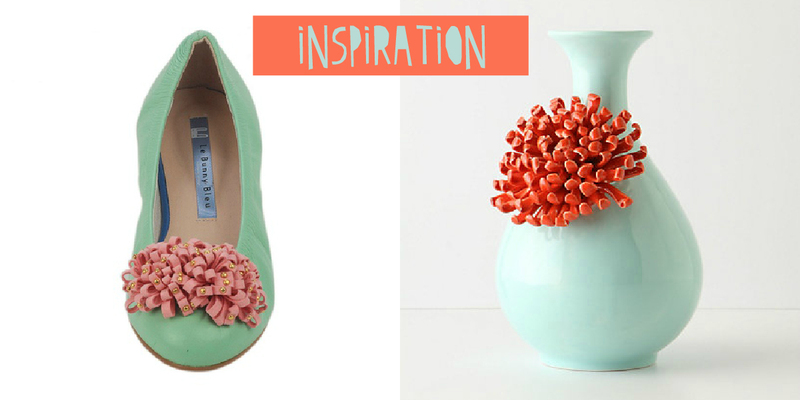 love how you took the inspiration for a vase! These are adorable! They would be perfect for a day valentine's day date!